Our Standup Comedienne: Year Two | Paul's Voyage of Discovery & Etc. Emilia goes it alone, as herself, microphone in hand – with nothing but her own wit to rely on. She’s a brave girl. And she’s getting pretty damn good at this standup thing. Emilia’s first year behind the mike has been busy. 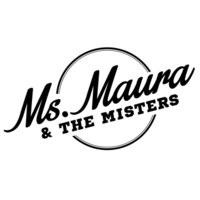 In Southern California, she’s played all three rooms at The Comedy Store, The Formosa Café, Leche Lounge, Café HaHa, and Flappers in Burbank, among others. She’s also played several clubs in Chicago and NYC. If you haven’t seen her perform yet, you’ll have lots of opportunities to catch her act in the Los Angeles area this month. 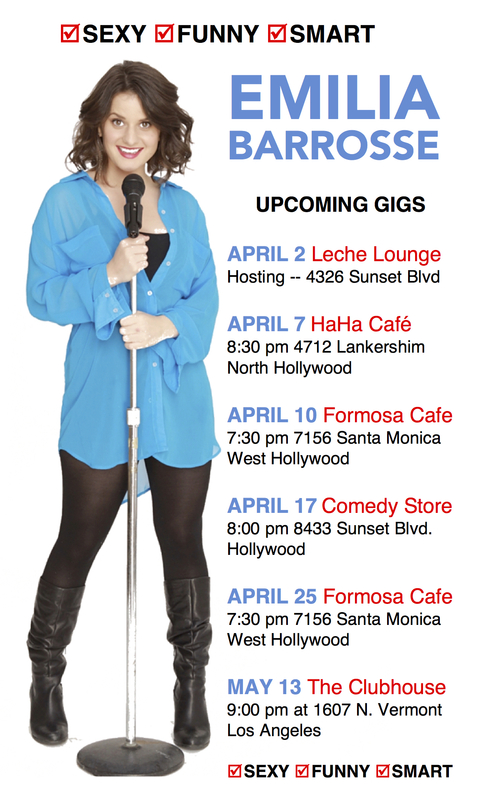 On April 2, she’ll be hosting an evening of standup comedy at the Leche Lounge, upstairs at Café Malo in Silver Lake. The rest of her gigs are listed on the poster below. In fact – here’s a good idea: print the poster and tape it to your refrigerator. That way, you’ll have Emilia’s smiling face to look at as you get milk for your cereal – and you’ll be reminded of when and where she’s playing this month. See you there! Funny gal with smart jokes- refreshing.